I love a dark and sinister read, and for crime fiction, thrillers and suspense novels, Abby over at Crime by the Book is my go-to gal for recommendations. She also has one of the most gorgeous bookstagram accounts around, so I was thrilled to talk favourite reads and reviews with her. First of all, thank you so much for inviting me to share a bit about my blog with you! This is so fun. I started Crime By the Book just over 7 months ago now. 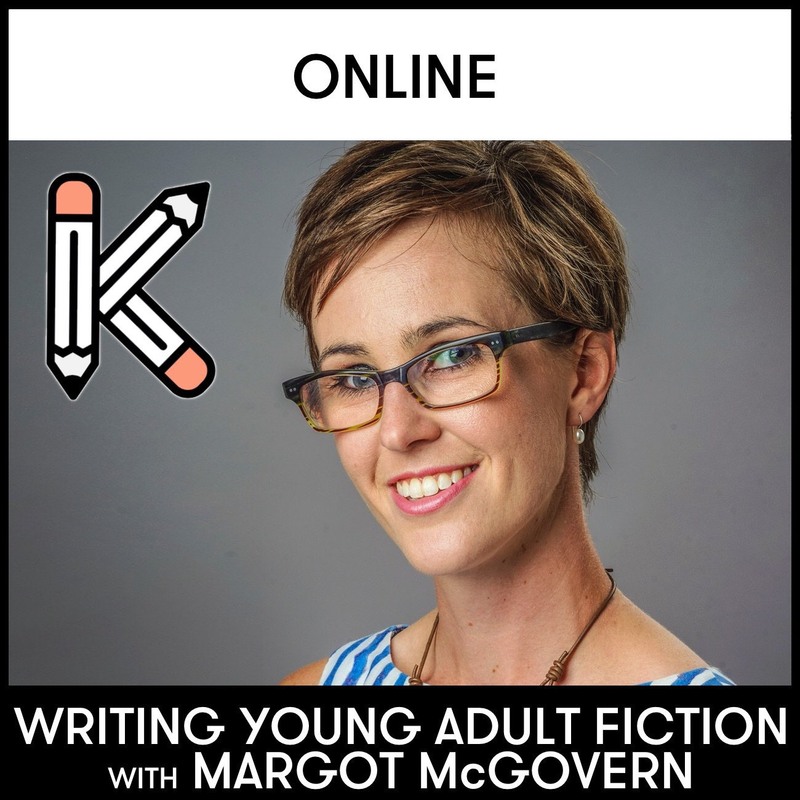 I started my blog because I wanted to create a platform where I could share my love of crime fiction and connect with like-minded book lovers! I’ve always been an avid reader of crime novels, and the thought of finding a way to discuss the books I love with other readers around the world was (and still is!) so exciting to me. I review crime fiction—mysteries, thrillers, suspense novels, if it has a crime at the center of it, I’m all in. I’ve been a crime fiction reader for as long as I can remember – I grew up reading Nancy Drew, and crime books will always be my most favourite. I always keep a notebook and pen with me while I read, I find it very helpful to have somewhere to jot down any thoughts that might pop in my head while I’m reading. However, I never aim to begin my review while reading a book—I like to lose myself in the stories I’m reading, and review the book maybe a day or two after I finish it. I like to let myself sit with a story for a while before I review it! I can always tell if I’ve truly loved a book if I’m still excited by it a day or two after finishing it. I share my reviews over Instagram, Twitter, and Facebook. I use my Goodreads account as a way to share my informal thoughts while I’m reading a book – I love the Goodreads feature that lets you update your friends on your reading progress! I do this all the time. It’s a fun way to engage with other people who might be reading, or interested in reading, the same book. Overall, I’ve found Instagram to be the most fun way to connect with other bloggers! 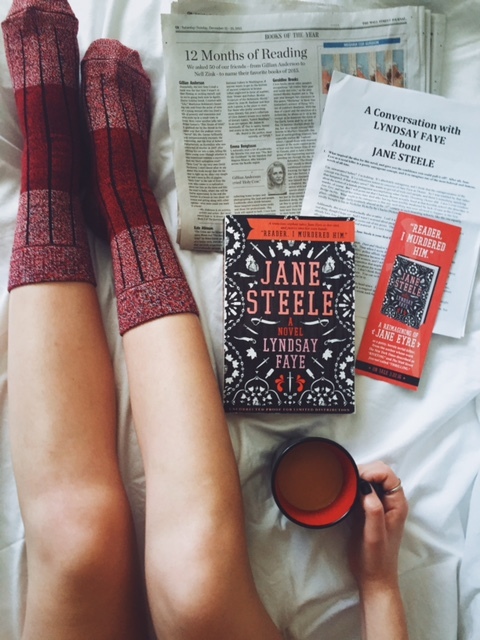 It’s such an engaging platform, and I just love seeing the creative ways people photograph and share their current reads. My blog is primarily reviews, but I also have a page that I call “Quick Reviews,” which is essentially a photo gallery including pictures of each book I have ever reviewed on the blog. You can select a picture from the gallery, and you’ll get to see a brief summary of my thoughts on the book, including my rating, the book’s synopsis, and what I believe to be its pros and cons. The point is to help you pick a new favourite read, fast! I also share snippets of crime fiction news, author Q&A’s (of which I have a few very exciting ones to share in the next few weeks!! ), and a page dedicated to my most-recommended books. I listen to my gut when choosing my next read. I never force myself to read books in a particular order, and while I try very hard to stick with a “first come, first serve” basis for my reviews, if I’m not in the mood to read a particular story, I put it aside for later. I’ve found that if I force myself to read a book before I’m really in the mood for it, I’ll inevitably dislike it! And I certainly don’t want to set myself up for that. Plot development, originality, and quality of writing. I think crime fiction can have a reputation as being pure entertainment, or perhaps a more low-quality form of writing, and I have to strongly disagree with that! Good crime fiction showcases an author’s talent for plot development. Agatha Christie being the gold standard for this, a good crime novel will leave the reader utterly confused and shocked, without resorting to excessive “bells and whistles”—the plot will be precise, with every twist and turn able to be traced back logically within the story. Originality is also crucial: for example, there are many kidnapping stories out there, but I greatly admire authors Kate Hamer (The Girl in the Red Coat, Melville House) and Raphael Montes (Perfect Days, Penguin Press) for their boldness in crafting totally unique, totally stunning kidnapping novels. Last but not least, none of this would be possible without high-quality writing. Everything hinges on an author’s ability to express their ideas precisely. Reading is simply part of who I am! It’s my escape, my favourite hobby, and my passion. Reading is so important because it challenges us to think beyond ourselves, and to immerse ourselves in worlds that might make us uncomfortable, but that reflect sides of life that we might never see otherwise. Because they allow us readers to express ourselves, and help connect other readers with books they will love. I just love reading book reviews where the reviewer’s passion for that book shines through! You can’t beat that. How gorgeous are Abby’s pics? See more at @crimebythebook. 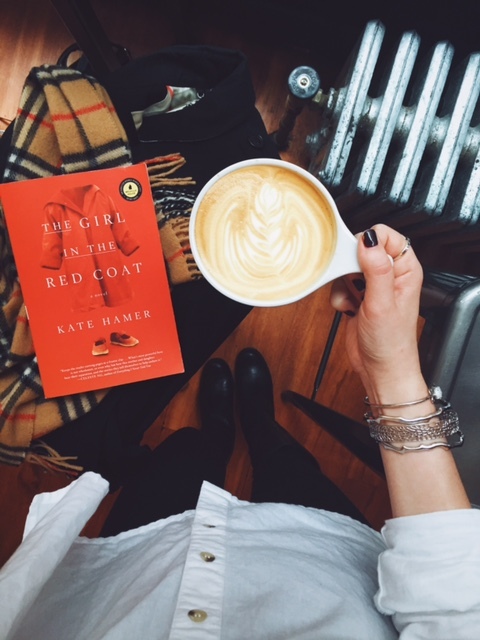 My favourite read so far this year is The Girl in the Red Coat by Kate Hamer. This book is absolutely stunning. It’s a tragic story of a kidnapped child and her distraught mother who is trying to bring her daughter home. The writing is impeccable, the plot is dark and suspenseful, and it has a phenomenal mystical element to it that the author blends seamlessly with an otherwise totally realistic story. It’s unlike anything I’ve ever read. For US readers, it releases February 16th, and I believe it’s already out in the UK. Anything Agatha Christie. If you’ve never read a book by the Queen of Crime, now’s the time to start (start with And Then There Were None). If you’ve read some of her books, I can guarantee there are more out there for you to read! Detective Harry Hole (the main character from Nesbø’s series), Lisbeth Salander (from Stieg Larsson’s Millennium series), and Sherlock Holmes, because they’re all varying degrees of crazy, haunted, and brilliant, and I’d just love to learn all their detective secrets. Be genuine!! Read what YOU want to read – share YOUR honest opinions. People always ask me what I read when I’m not reading for my blog, expecting that surely I read books other than crime novels in my free time… and to be honest, my blog-reading is my first choice of reading material! Reading and reviewing what you genuinely love is the only way to go. Read widely within your genre. There is so much to be learned just by reading the books that have come before yours! This is probably very obvious advice, but I think it can’t be overstated. To see more from Abby, head on over to Crime by the Book, and keep up to date with her latest news and reviews by following her on Twitter, Instagram, Facebook and Goodreads. Posted in Book Blogger Q & As, For Readers, For Reviewers and tagged book blogger, book blogger Q&A, book blogging tips, book reviews, books, crime by the book, crime fiction, reading, suspense, thrillers. Bookmark the permalink. 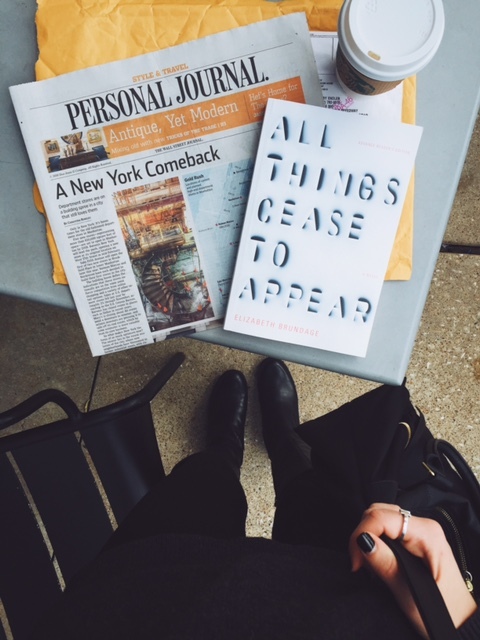 Fun to read and absolutly gorgeous to know better one of my favorite instagrammer/blogger. It’s a good thing to go beyond the account and meet the person. I like it! She sounds like a great, conscientious book reviewer. I’ll be following her blog for sure!